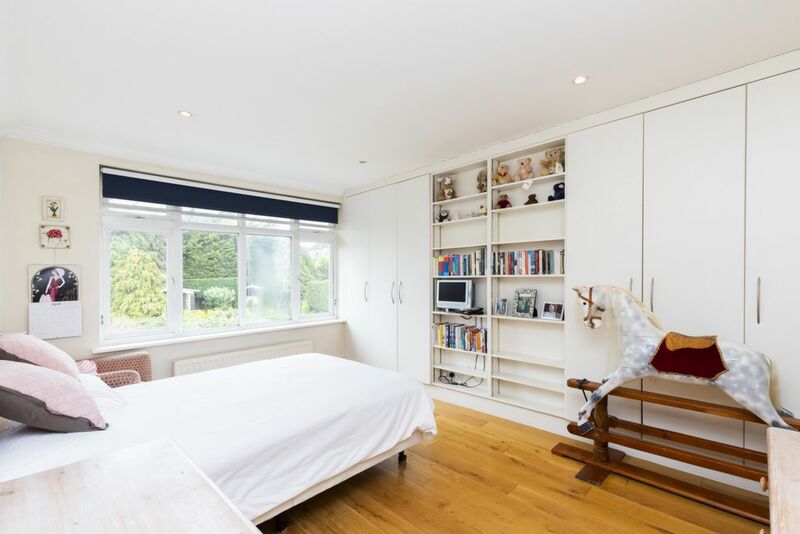 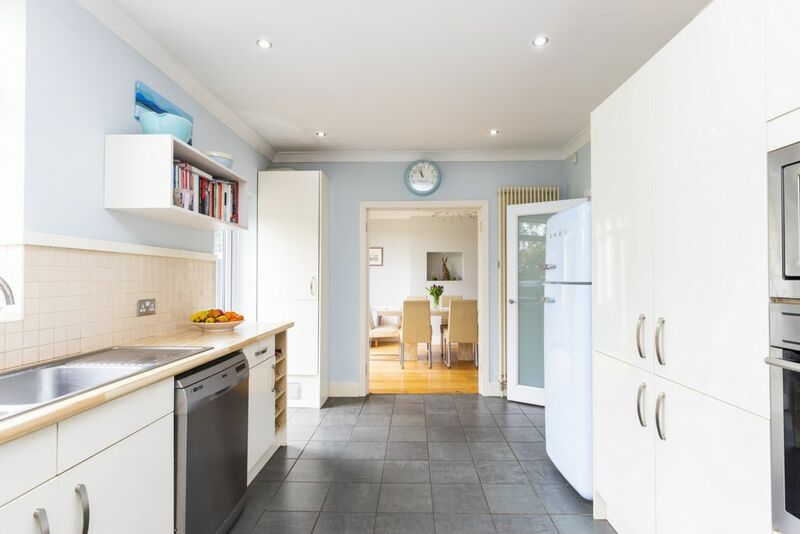 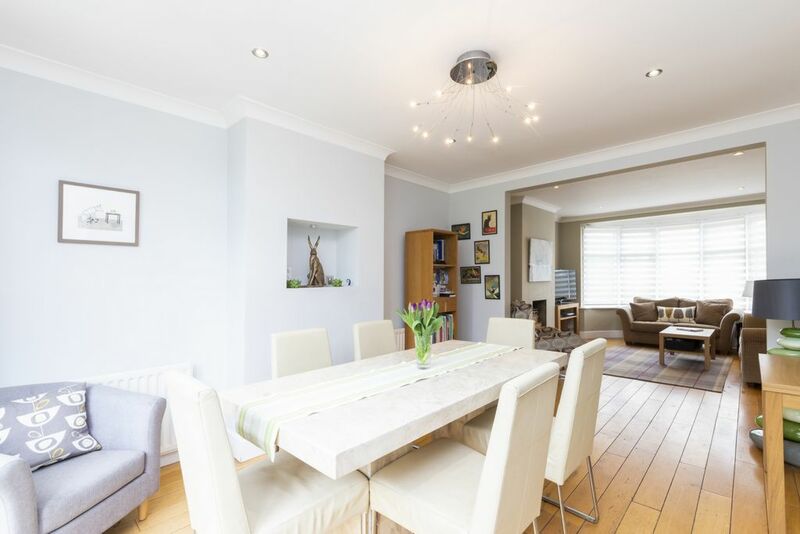 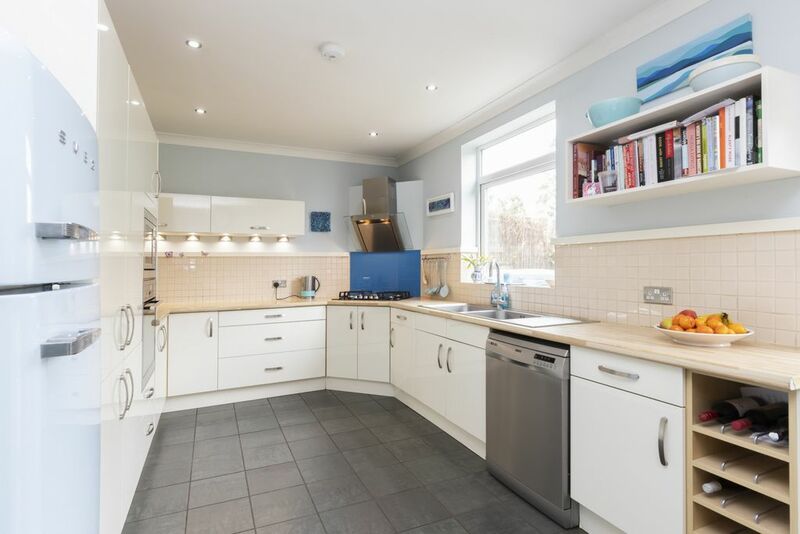 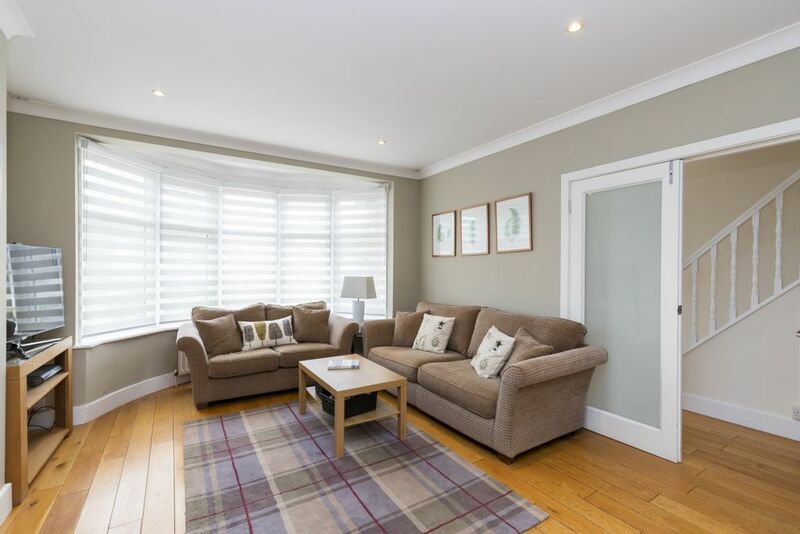 A wonderfully spacious family home which is ideally located for the Central Line, state and independent schools and The Broadway's shops, cafes and restaurants. 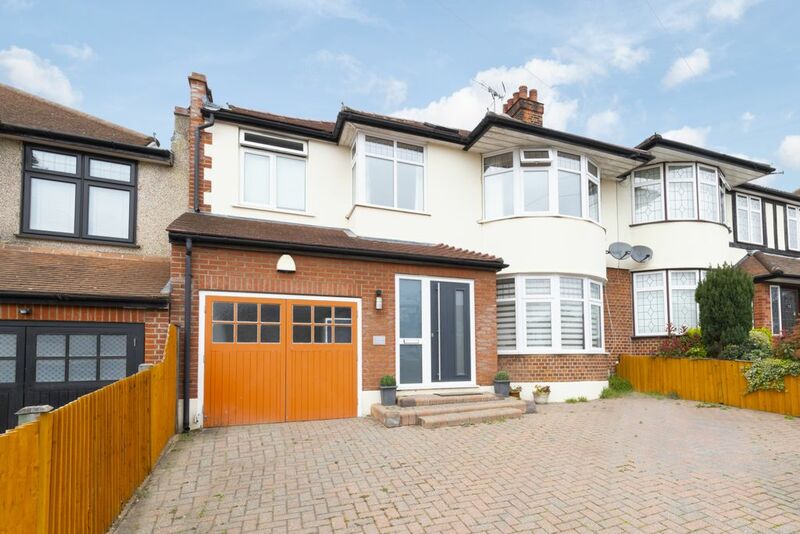 The property has been extended to provide spacious, well presented accommodation throughout, with the master bedroom and en suite which extends the full width of the house being the stand out feature. 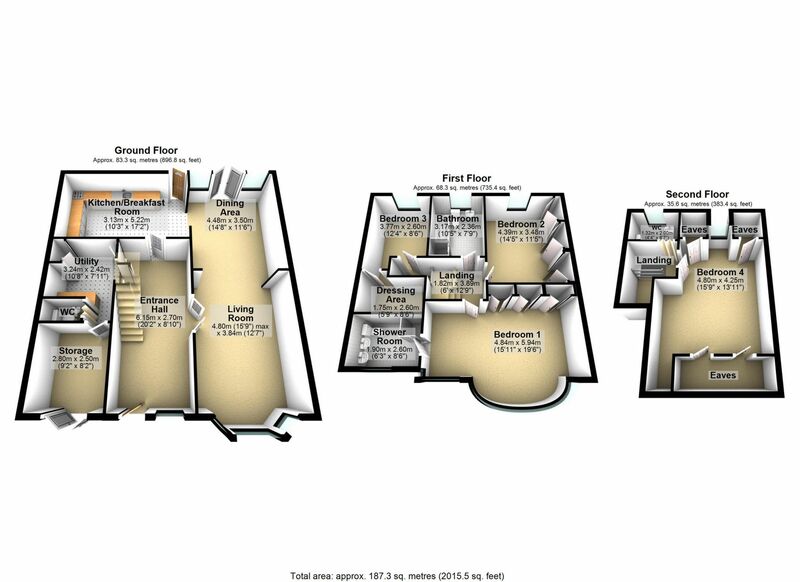 The property also appears to offer further potential for extension to the ground floor, subject to planning consent. 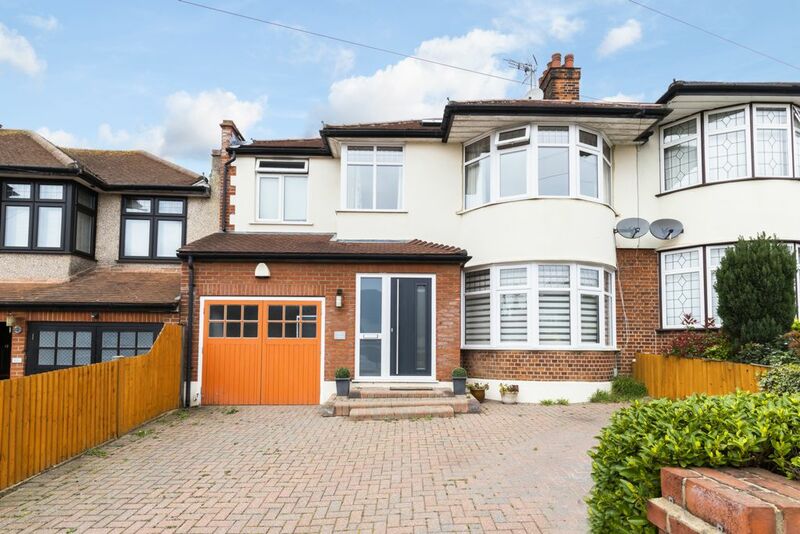 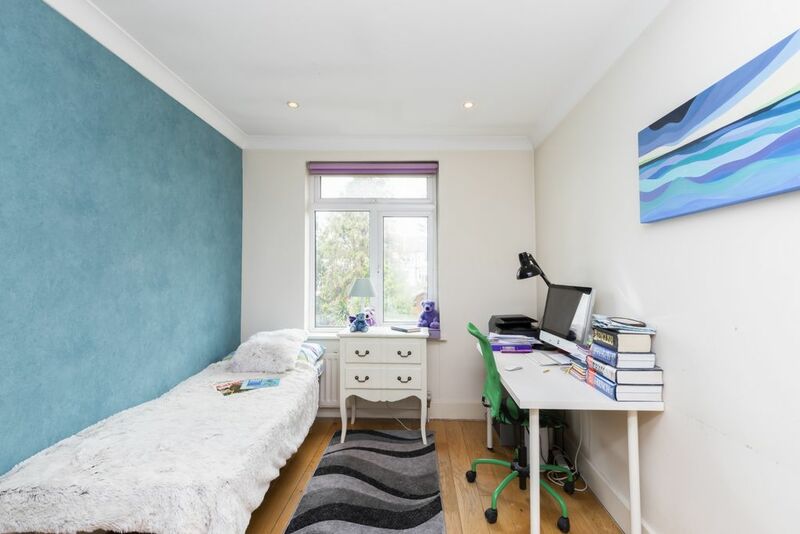 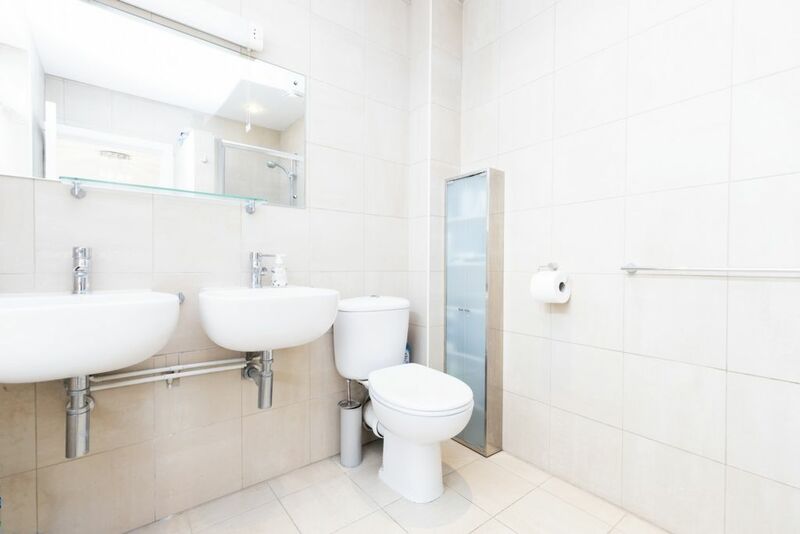 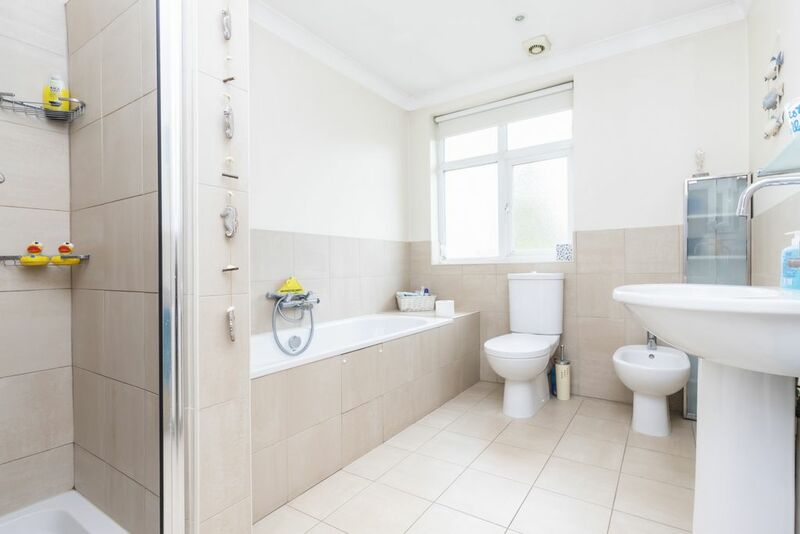 This property in Kings Avenue is ideally situated just a 10 minute walk to Woodford Central Line Station, and 5 minutes to Roding Valley, with its direct services to the City, West End and Canary Wharf, and for road users the M25, M11 and routes into London are conveniently close by. 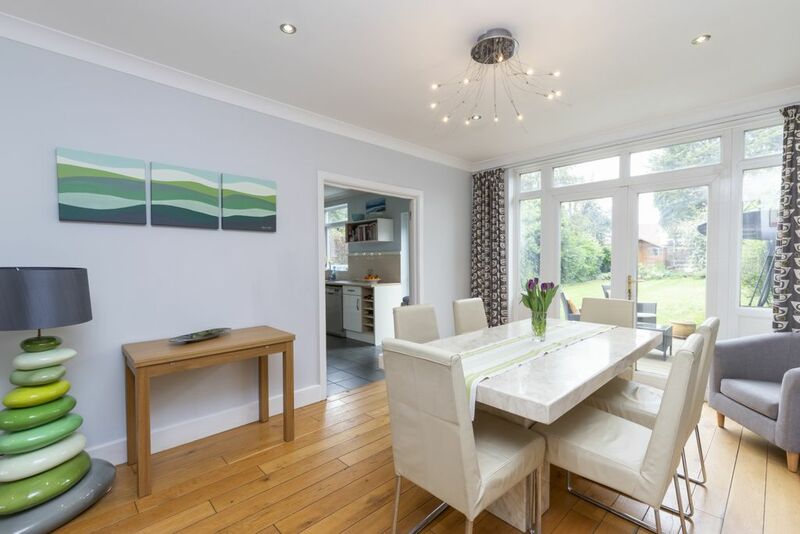 Woodford Green is a particularly popular area for families with a good mix of state and independent schools, and with Epping Forest on the doorstep, there are plenty of leisure options. 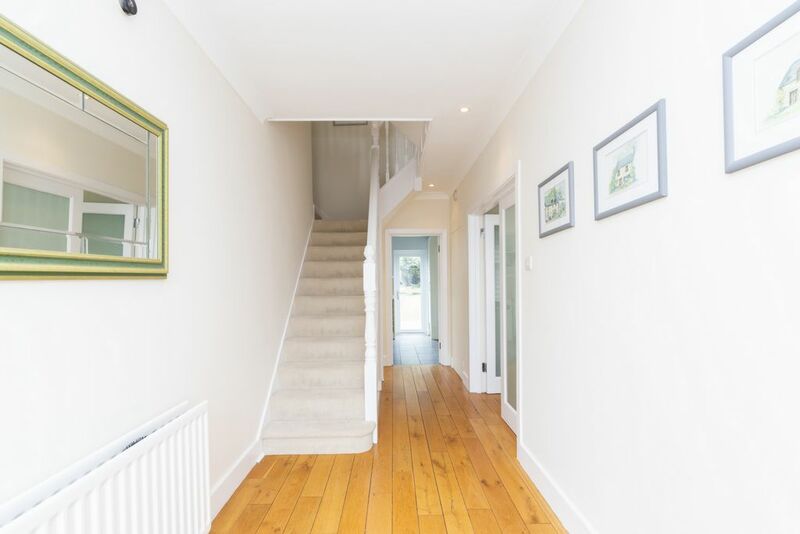 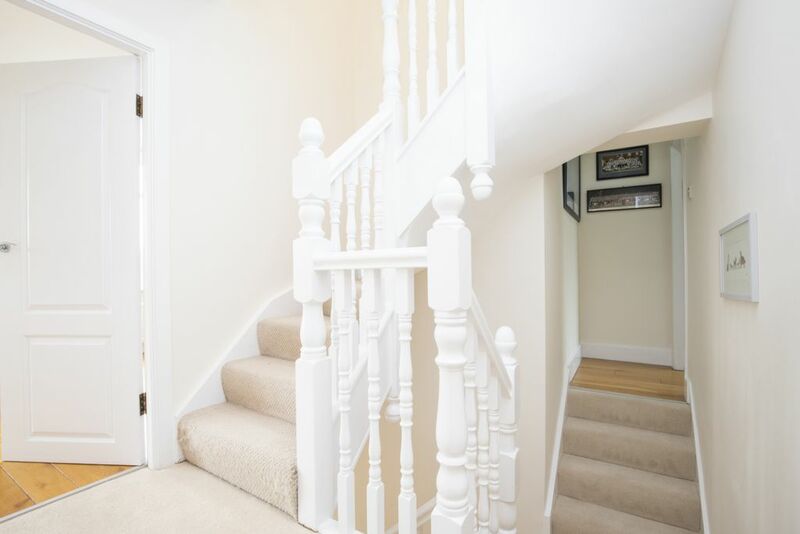 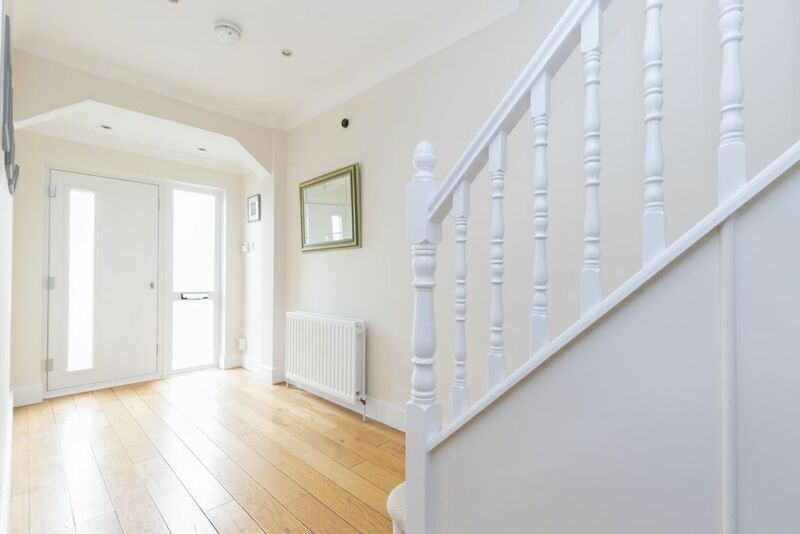 The accommodation commences with a bright and spacious entrance hall with a calming neutral decor which carries through the whole of the house. 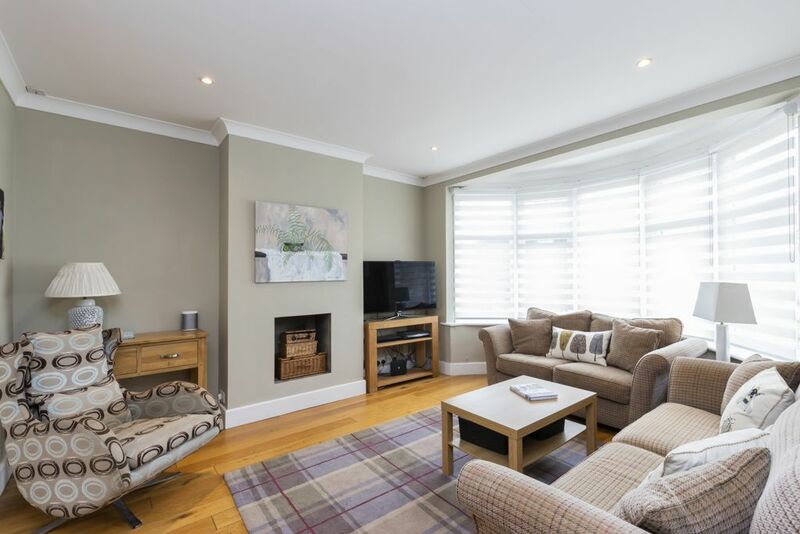 The through lounge is a delightfully spacious room with hardwood flooring, and having an east/west aspect will benefit from plenty of natural light even on the dullest of days. 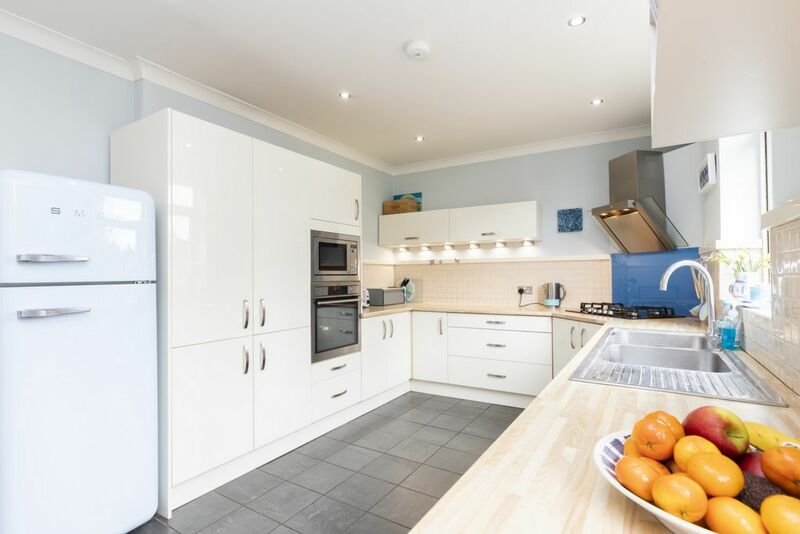 The kitchen has been extended behind the garage to offer an extensive range of units, with ample space for appliances. 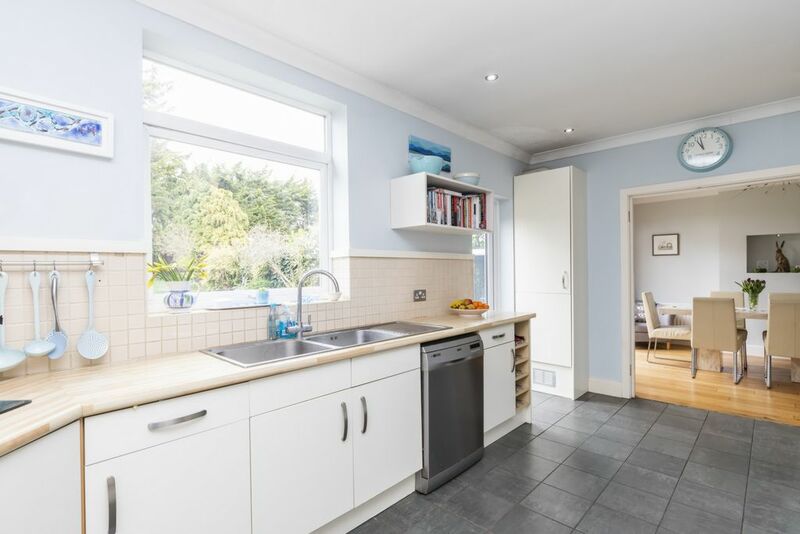 The integrated garage has been split to offer a storage area accessed from the driveway, and behind this is a large utility room and guest cloakroom, with door from the hall. 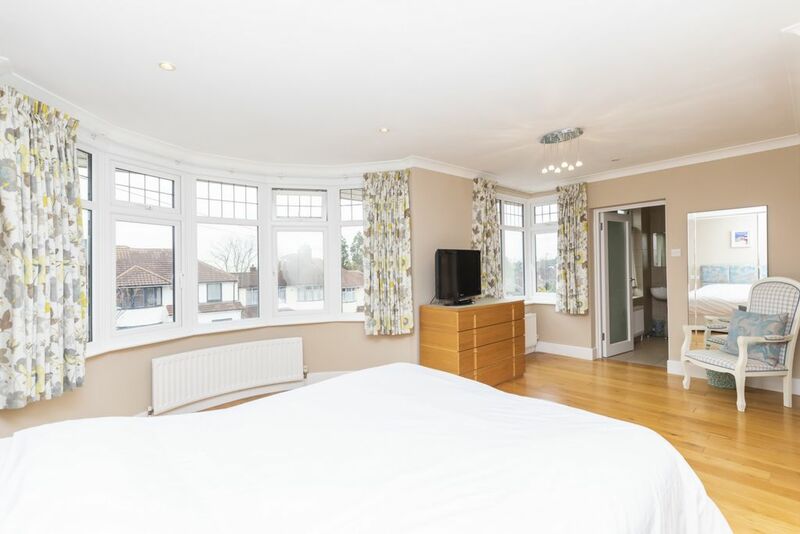 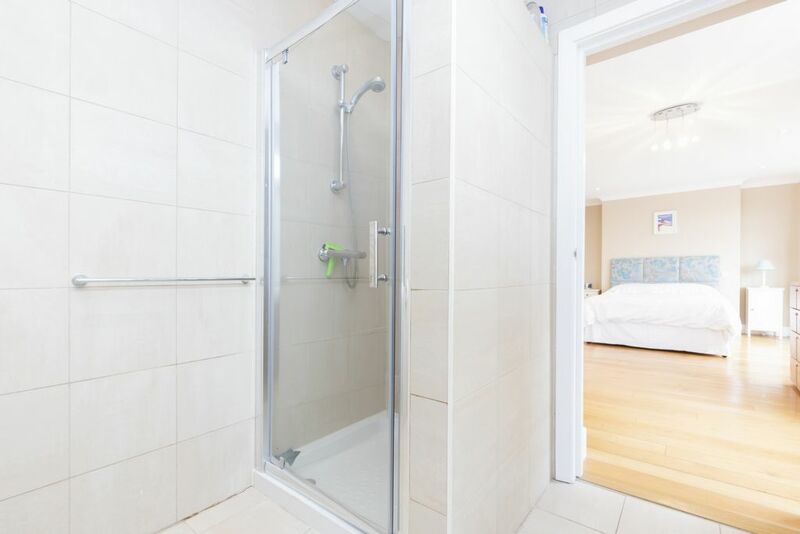 The first floor offers three well appointed bedrooms and family bathroom. 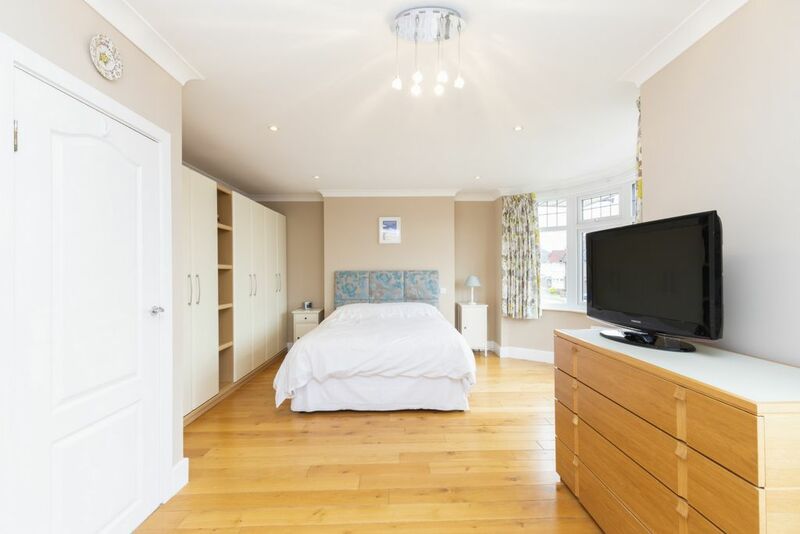 The master bedroom is a real treat, spanning the full width of the house, with dressing area and a contemporary en suite shower room. 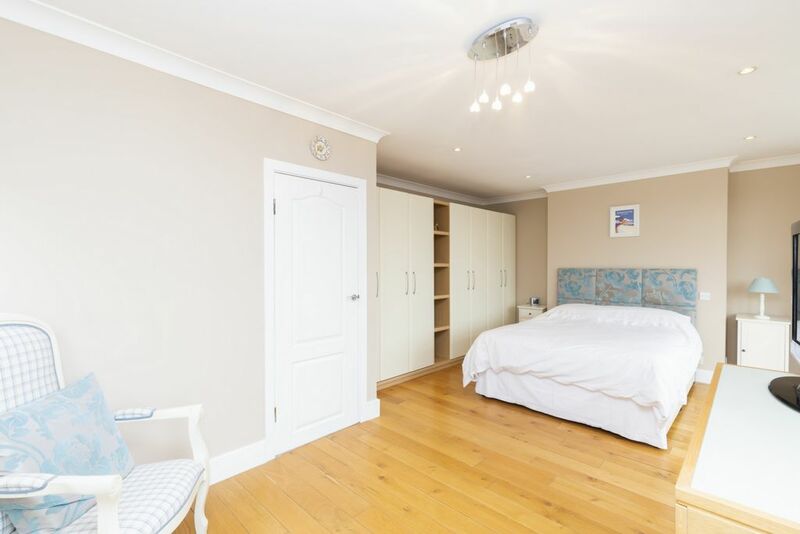 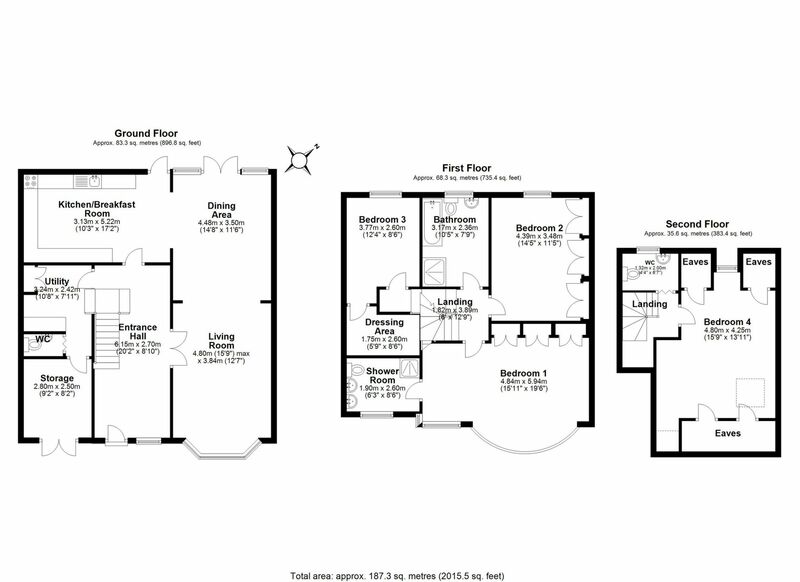 The second and third bedrooms are both good doubles with fitted wardrobes or dressing area. 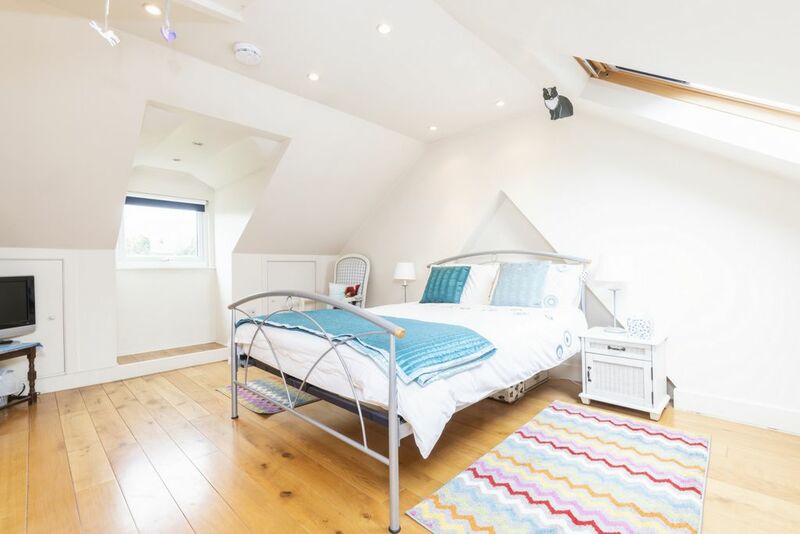 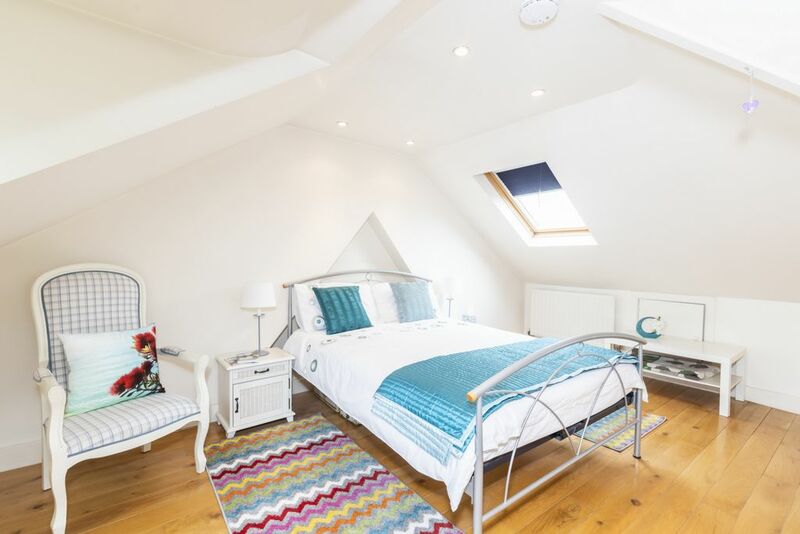 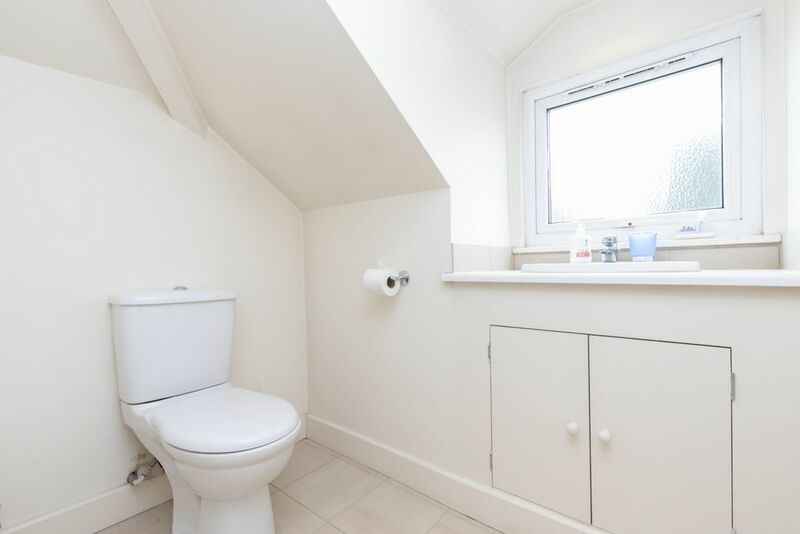 The loft has been converted to provide fourth double bedroom eaves storage and cloakroom. 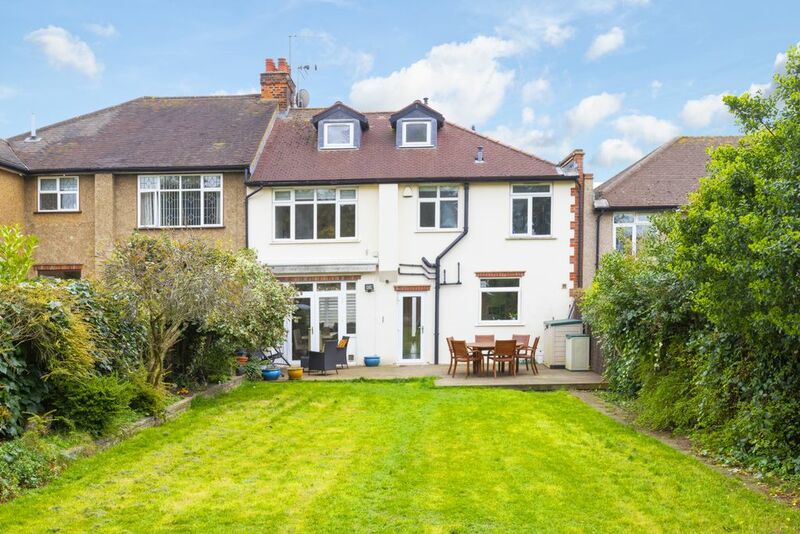 The front garden is block paved offering plenty of parking. 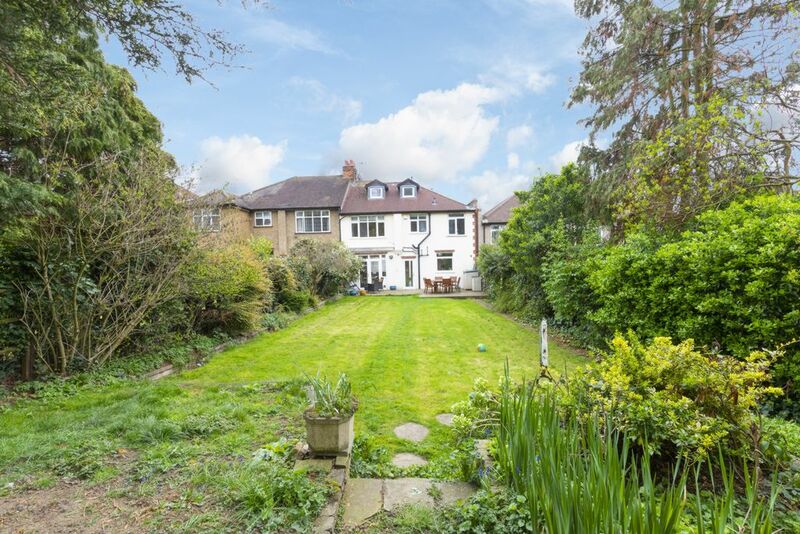 The rear garden is approximately 110ft long, and being west facing, is perfect for the evening sun. 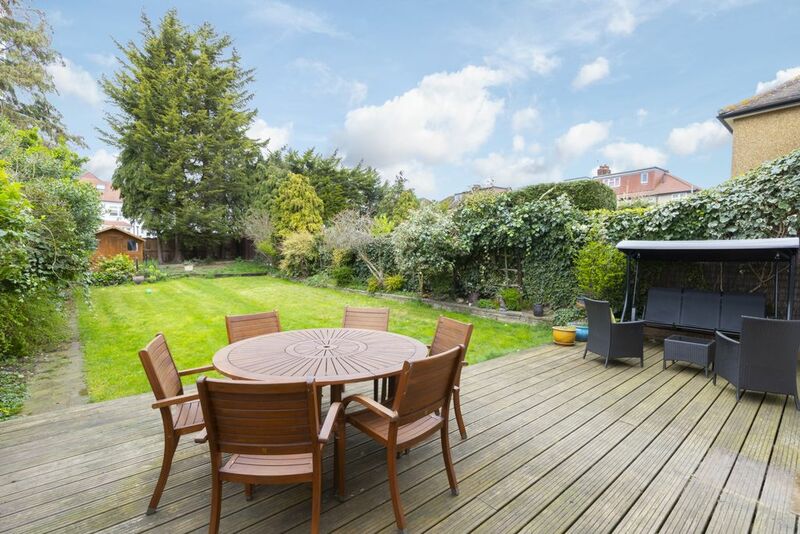 The garden commences with an extensive decked area with the remainder predominantly laid to lawn with mature borders and timber shed to rear.